All diabetics should have a podiatrist they know and trust. It’s estimated that over 15% of patients with diabetes will eventually develop ulcers on their feet and ankles. Without prompt wound care treatment, these ulcers can progress to the point where amputation is the only option. According to the Centers for Disease Control (CDC), over 185,000 amputations are performed each year in America. About 73,000 of these are toe and foot amputations directly resulting from diabetes. Our wound care specialist will evaluate each wound and choose the appropriate wound care products and wound care dressings for your own personal wound care management. Under most insurances wound care supplies, depending on the types of wound will be covered and can be sent to your house. General wound care centers can often be very expensive, causing you to prolong wound care and treatment. But let neither foot pain nor the worry of receiving an expensive medical bill, keep you off of your feet. Similar wound care can be coordinated in our offices for a fraction of the cost. Also keep in mind that our doctors of podiatry, because of the specialty, are often the best trained physicians to treat your pain and care for your wounds. At Beaver Valley Foot Clinic’s wound care clinic, we have wound care centers at 4 convenient locations. Diabetes is a chronic, often progressive illness. While it can’t be cured, proper treatment can minimize its impact on your life. When poorly managed, diabetes can affect nearly all parts of your body, especially your feet. It’s a well-known fact that, as a group, diabetics suffer more foot problems than any other population. It’s precisely for this reason that all diabetics should see a podiatrist regularly. This will greatly reduce your risks of diabetes-related complication such as bacterial infections, fungal infections, ulcers, and other types of sores. In worst case scenarios amputation of the toes, foot, or even the entire lower leg may become necessary. In America alone about 73,000 amputations occur each year as a direct result of poorly controlled diabetes. The sad fact is that many, if not most, of these amputations could have been prevented with a podiatrist’s care. Diabetic support shoes get most of the attention, but diabetic socks are perhaps equally important. When worn consistently they offer several key benefits which we’ll discuss below. But first, here’s some basic information on diabetes as it relates to your feet. While proper foot care and hygiene is important for everyone, this is especially true for diabetics. This mainly comes in the form of specially made diabetic footwear, which includes diabetic socks. · Absorbing moisture. Diabetic socks are specifically designed to wick sweat away from the skin. This is important for diabetics, since excess moisture can exacerbate existing sores. It also increases their chances of becoming infected. · Compression therapy. Most high-end diabetic socks deliver graduated compression to the lower leg. This simple means that they provide more compression at the ankles and less as they go up. This squeezes blood back up the leg, greatly improving circulation. · Friction reduction. Diabetic socks are made of very soft fabric which reduces friction between your shoes and your skin. This protects the feet in much the same way as moisture absorption. Beaver Valley Foot Clinic Offers Proper Wound Care & Foot Care! The reality of your foot discomfort or pain is this: it needs treated properly or else the pain and its problem source will amplify and worsen. Not only that, if you are dealing with a medical issue that your wounds are a result of, such as Diabetes, it is only more imperative that you seek the help of the Beaver Valley Foot Clinic, ASAP. ”I’ve had fairly severe ulcers on my heels for a good while now. My doctors started telling me that parts of my foot might need to be amputated if things got worse! Needless to say I was scared and looking for options when a friend told me I should talk to Dr. T- she had helped him with some pretty severe ulcers before. We even specialize in diabetic wound care. Diabetes is a metabolic disease that effects how the body uses and produces insulin. Effecting millions of people each year, it also ranges in severity depending on the individual. Some diabetes suffers may develop diabetic ulcers, which are open sores that form when pressure prevents blood flow to the skin. 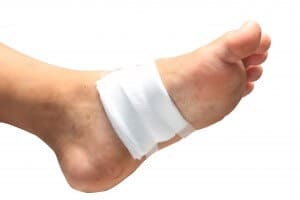 Specifically, with diabetes-related wounds, when left untreated by podiatrists and wound care nurses , these pressure wounds (or ulcers) can go from painful, to limb-threatening. ““I have a condition called Venous Insufficiency, which prevents blood from getting to the veins, causing tissue to break down, and leading to ulcers and sores, which, because of the poor circulation, heal so slowly that, at times, I’ve had them last for six months. Dr. Tina has been treating me for these ulcers for awhile; but, many times, while the wounds appeared to be healing on the surface, they didn’t go away completely. But, because she never gives up on searching for newer, better treatments, she’s now using a medication that, besides greatly accelerating the healing process for my wound, has healed it thoroughly. This has made such a big difference in my life, because I used to have to have my leg – or legs – bandaged all of the time, sometimes for days, so just taking a shower was a big hassle. Even worse, the ulcers would sometimes seep right through my Unna boot (a light, medicated bandage that forms a soft cast) to my clothes, which was very unpleasant, especially when I was out in public. Contact the Beaver Valley Foot Clinic now for more information on managing and properly caring for open wounds. You deserve to walk without wound-care pain and discomfort. To schedule an appointment call 878-313-3338 or visit Dr. Teimouri and her experienced staff in person at one of the conveniently located Beaver Valley Foot Clinics. Begin the steps to proper wound care and pain relief. Trust in Dr. Teimouri and the Beaver Valley Foot Clinic to care for all of your foot discomforts! Q. What is a wound? A. Wound care definition – is a break or opening of the skin. The epithelium loses its protective functions after injury. Q. What factors affect wound care healing?